A podcast about paleo diet, running, minimalist training, and health. Brad Kearns of the Primal Endurance Podcast, interviews me about my new book, "Low-Mileage Running". In this episode, I share how to listen to your body to maximize your training. 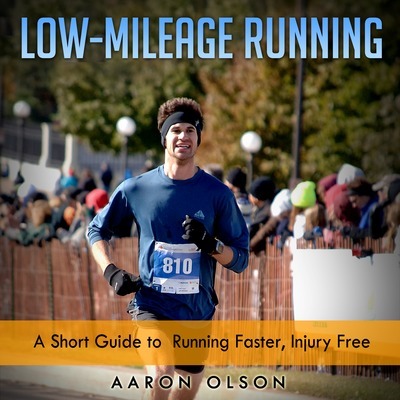 I also share an interview about my new book: "Low-Mileage Running: A short guide to running faster, injury free". 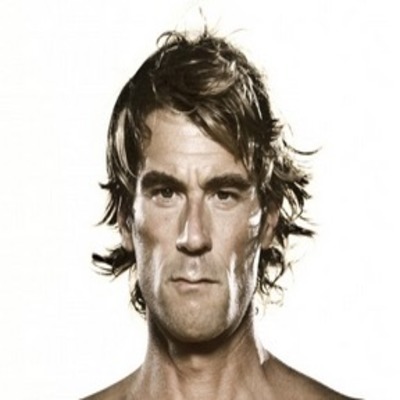 I talk with author (http://amzn.to/1I7P9Zi), podcaster, and athlete, Rich Roll about performing well on an all plant diet. Rich gave up drugs and alcohol while at the same time adopting a radical vegan eating strategy to fuel his desire to perform well in ultra-endurance sport. We talk about how to start eating healthy, eating healthily when busy, and how to turn your life around from drugs and alcohol. 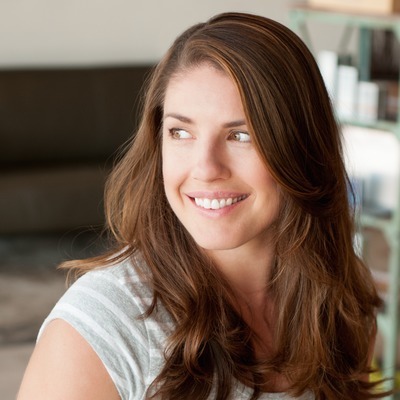 I talk with Stephanie Gaudrea about her book, Performance Paleo Cookbook (http://amzn.to/1G3l4fK). We talk about how to cook paleo foods for optimal performance. In this episode I talk with Lily Nichols about managing gestational diabetes using a real foods and exercise. We discuss optimal nutrition, and exercise for pregnant mothers and for those managing GD. I talk with CEO Tony Post of TOPO athletic about creating running shoes that allow the foot to function naturally. They feature a natural, wide toebox; snug midfoot and heel; lightweight materials, and minimal drop. Gene Villeneuve found the paleo diet and it has radically transformed his health for the better. He went from dealing with constant GERD to being completely free of acid reflux. In addition, he's had to have his esophagus stretched in order to swallow food, but no longer deals with food getting stuck in his esophagus. I talk with Sim Wegerif of ithlete (http://www.myithlete.com/). ithlete is the leading heart rate variability app for monitor HRV. By using the app to measure HRV an athlete can tell how much stress they are under and how well they are recovering from previous workouts. I talk with Steven Sashen of Xero Shoes, about learning proper running technique, how to get started running in minimal shoes, and how he started Xero shoes. I talk with Graeme Turner about his book Perpetual Motion Running. Graeme has developed a running technique that allows him to run pain-free even though he has no cartilage in his knee. In this episode I talk with David Mayfield about his journey to the Paleo diet, and how his running has improved while on the diet. I talk with Kelly Starrett about his latest book, Ready to Run. Kelly focuses on improving technique and strength to help prevent running injuries. I talk with Russ Crandall, author of The Ancestral Table, about how to make a paleo style diet work when living a busy lifestyle. Russ gives some great tips on how to prepare meals efficiently, while making food taste delicious. I talk with Tawnee Prazak about eating healthily for endurance sport. Tawnee shares some of the pitfalls that can come from eating too low-carb when combined with high-volume of exercise. In this episode I talk with Paul Jaminet about how to live the Perfect Health lifestyle. We cover circadian rhythm entrainment, general food guidelines, exercise recommendations and how to make it work even with a busy lifestyle. I talk with Dr. Nicholas Romanov about his latest book, The Running Revolution. Dr. Romanov is the creator of Pose Running, which he says all humans must do when running; it's just a matter of conformity to his standard. We talk about how he developed Pose running and how it can help runners run faster, and with fewer injuries. I talk with Jeffrey Ford about his minimalist approach to marathon training. Jeff typically runs no more than 15-20 miles per week, yet can run a 2:51 marathon. He attributes his success to using Crossfit Endurance and Pose Running Technique. I talk with Mark Lofquist about his transition to barefoot and minimalist footwear. Mark has an incredible story about how barefoot and minimalist shoe running allowed him to run pain free and enjoy the sport of running. We also talk about his experience with the Paleo Diet and Crossfit Endurance. I talk with TJ Murphy, a 2:38 marathoner, about his books Unbreakable Runner and Ready to Run. TJ found that by using crossfit endurance he's been able to recover from injuries and start running again. Through this approach, he's regained his athleticism and his love of running. I talk with Valerie Hunt, a Pose Running Certified Coach in Austin, TX. Valerie combines Pose Running with Crossfit Endurance to get the most out of her running. Valerie saw dramatic improvements when she started using Pose Running combined with Crossfit. She is passionate about helping others achieve great running results using the two. We talk about running mechanics, training, Pose, and Crossfit. We talk about running mechanics, training, Pose, and Crossfit. I talk with endurance coaching legend Phil Maffetone about his latest book, 1:59: The Sub-Two-Hour Marathon Is Within Reach. Phil has coached elite endurance athletes such as Mark Allen. He supports a long-term approach to training and racing, favoring a Lydiard style of base building followed with anaerobic sharpening. He talks about why he thinks the sub 2 hour marathon is within the reach of elite athletes and how small tweaks to ones training and lifestyle can give big results in racing. Maffetone argues that a well-rounded aerobic training program, barefoot running, a high-fat diet, and certain types of strength work can help athletes run faster. In this episode I talk with Brian MacKenzie. Brian is a runner, author, and entrepreneur; his latest book is Unbreakable Runner: Unleash the Power of Strength & Conditioning for a Lifetime of Running Strong. We talk about how crossfit endurance can help runners increase their mobility, get stronger, and run faster. I talk with Bretta Riches of RunForefoot.com about proper running technique. Bretta was experiencing injuries as a heel striker, and made the transition to a more natural style of forefoot running. Since making the switch she's had less injuries and runs faster with less effort. In this episode I talk with Dr. Nick Campitelli about a 2 year-long case study where he demonstrated an increase in arch height from running in minimalist shoes. For the past several years he has treated running injuries in patients by fixing their form and transitioning them to minimalist shoes. Having treated runners with all types of injuries through conservative measures with orthotics and shoe gear changes to reconstructive foot and ankle surgery, Dr. Campitelli has brought what works best and is most current to his practice as well as the Akron and Cleveland running communities. I talk with Zach Bitter about how he maintains a low-carb lifestyle while smashing American Records at 100 miles and 200k. We talk about why he went low-carb and how it helps fuel his running. 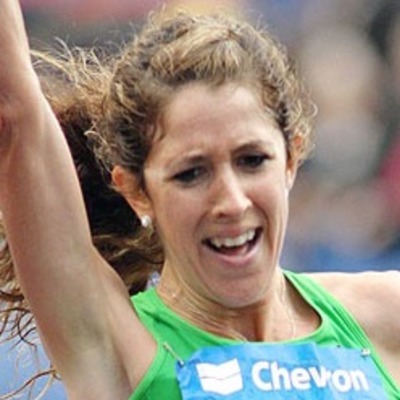 I talk with a recent convert to paleo and Boston Marathoner, Katie Strohschein. Katie just completed her first Boston Marathon in a time of 3:11, while following a mostly paleo style diet. Listen to how she took over an hour off of her marathon time by switching to a paleo diet, and adding more structure to her workouts. 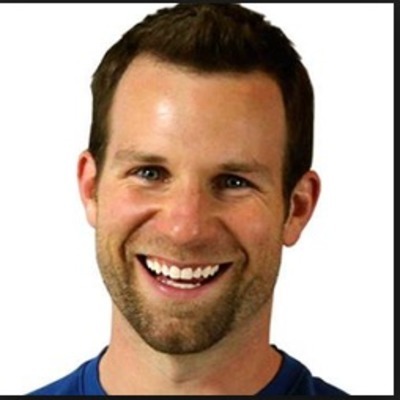 I talk with certified sports nutritionist and endurance sport writer, Matt Fitzgerald. Matt's latest book is called Diet Cults: The Surprising Fallacy at the Core of Nutrition Fads and a Guide to Healthy Eating for the Rest of Us. We talk about what Matt calls, "agnostic healthy eating". He maintains that there is no reason to go to extremes when it comes to eating healthy. Matt takes on some of the claims made by popular diet cults and sheds light on what it means to eat healthy. I talk with Christopher Hague. Chris is an accomplished runner and triathlete who follows a paleo style diet. Lately, Chris has been experimenting with adding more weight training, more carbs and more intensity to his training. Listen to find out some great tips for training and eating. I talk with Tom Barbieri. 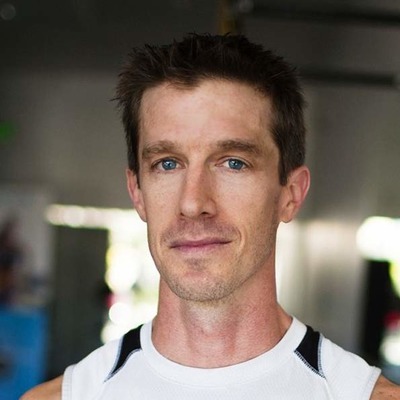 Tom is an endurance, fitness and wellness coach. In 2011 Tom noticed that he had gained over 50 pounds of excess weight, despite having participated in over 100 triathlons, 25 marathons, an ultra-marathon and many other endurance events since 1989. Listen and learn how Tom lost the excess weight and took control of his health by improving the quality of the foods he ate. 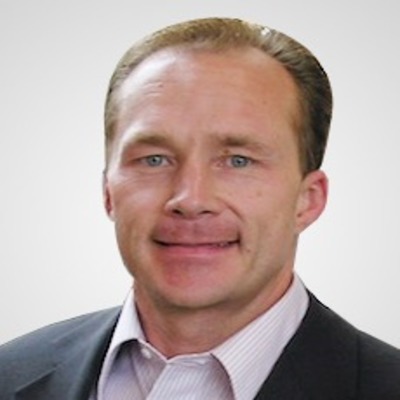 I talk with Scott Murr, co-author of the book Run Less, Run Faster. I talk with Scott about his unique approach to training which involves less running and more cross-training. Scott's approach revolves around 3 quality workouts per week, augmented with rigorous cross-training. He has conducted scientific studies using this approach and found that almost all runners in his study improved their marathon time with this approach. We get into the details about the actual training involved, how he came up with the idea, and how runners can implement it in their life. I talk with registered dietitian Amy Kubal about how to use a paleo style diet when training for endurance events. 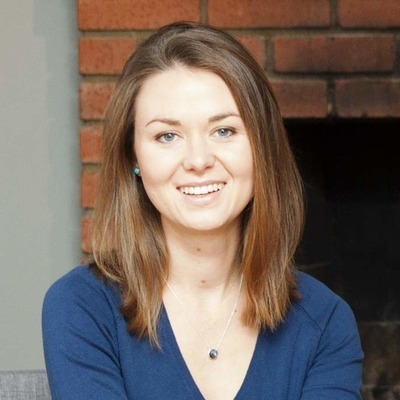 Amy uses a customized approach to diet and sees the paleo diet as a template to help develop an appropriate eating strategy for various athletic events. She shares some great tips for endurance athletes and warns that going too low-carb is not for everyone. Amy personally follows a high-carb paleo style diet. She includes mostly paleo foods but also includes some dairy and gluten free grains such as oatmeal. We also discuss crossfit endurance and whether it has merits for endurance athletes. In this episode I talk with Bill Pierce, author of Run Less, Run Faster. We talk about how Bill and his co-author, Scott Murr came up with the idea of running less to run faster. We go into the details about the exact type of training that Bill prescribes. He tells how it helped him run a 2:44 marathon and a 34 min 10K, and how it has helped other runners stay injury free while setting personal records. I talk with Christopher Kelly about how he regained his health and started mountain biking at a pro level while following a ketogenic diet. 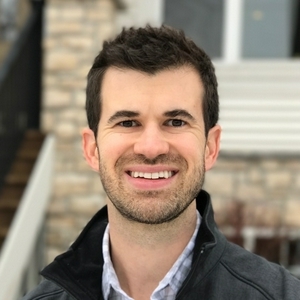 Prior to adopting a paleo-style, ketogenic diet, Chris was suffering from a variety of health related issues including, fatigue, depression and IBS. After changing his diet, he wanted to see just how far he could take his new-found energy and started mountain biking, leading him to pro level racing! In this episode I talk with coach and author, Steve Magness. Steve blogs at scienceofrunning.com and has a new book out called Science of Running. As a 4:01 miler in High School , Steve has taken his own running to a high level. He also coaches elite athletes and has worked with Alberto Salazar at the Nike Oregon Project. Listen to Steve's unique approach to blending science and real world training. In this episode I talk with Dr. Ronesh Sinha about his new book, The South Asian Health Solution: A culturally tailored guide to lose fat, increase energy and avoid disease. We talk about why South Asia is experiencing an increase in diseases such as diabetes and obesity. Dr. Ronesh tells listeners how tailoring their diet can help people lose weight and gain health. I talk with Brian Mackenzie, creator of Crossfit Endurance and author of the book Power Speed ENDURANCE: A Skill-Based Approach to Endurance Training. Brian takes an alternative approach to distance training. His approach focuses on strength, speed, and technique instead of long slow distance running. We also talk about the Paleo Diet, 3fu3l, and the importance of recovery in training. I talk with Russ Crandall. After being diagnosed with a severe autoimmune disease know as Takayasu's Arteritis, Russ turned his health around by following a Paleo style diet. Since then he has created some great recipes for his blog thedomesticman.com and just released a cookbook, The Ancestral Table. I talk with Matt Frazier about his journey in becoming the No Meat Athlete and cutting 100 minutes from his marathon time! We talk about why Matt decided to adopt a vegan diet, and how he took so much time off from his marathon, eventually qualifying for Boston. I talk with Paul Jaminet about supplementing with vitamins for optimal health and performance. We talk about the research behind Paul's recommendations, whether studies that show harms of vitamins are accurate, and what Paul has coming up next for us. I talk with Jon Smith of the Fit Fat Fast Podcast. Jon has an incredible story of losing over 100 lbs by following a low-carb, high-fat diet. We talk about how to become metabolically efficient, by eating and training in a way that burns more fat. I talk with Jonathan Bailor, author of The Calorie Myth: How to Eat More, Exercise Less, Lose Weight, and Live Better. We talk about why counting calories doesn't work, how to improve your quality of food choices, and how to get the most from your exercise routine. I talk with American Record holder for 100 miles, Zach Bitter. Zach recently ran 11:47 for 100 miles setting an American Record, and a World Record for 12hrs, running 101.66 miles. We talk about Zach's training racing and his high-fat, low-carb diet. 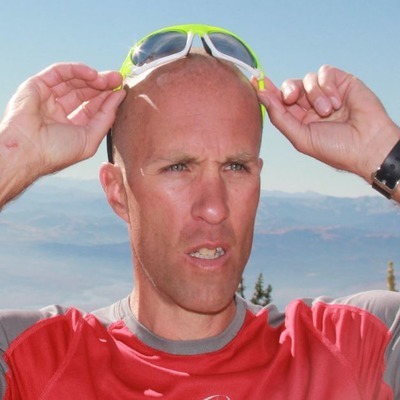 I talk with Ultrarunner, Luke Ashton. Luke recently completed a 100 mile race in 18 hours while following a high-fat, low-carb approach to eating. Luke shares about his training, eating, how he got started with ultrarunning, and what brought him to the high-fat, low-carb approach. I talk with David Epstein, author of The Sports Gene: Inside the Science of Extraordinary Athletic Performance. We talk about the role that genetics play in athleticism. We discuss the importance of training, genetics, and the interplay between the two. We also talk about why Kenyan runners are so good, what makes a great sprinter, and how to optimize your training for your personal genetics. I talk with Chris Hague. Chris is an accomplished runner and triathlete who, after reading The Art & Science of Low Carb Performance, began following a low carb, high fat diet. We talk about Chris's transition to a higher fat diet and how it has helped him feel better all-around, and even helped deal with an eating disorder. We also talk training, racing and what Chris eats on a daily basis. You can follow his blog and at My Two Watts. I talk with Sally Fallon Morell, President and co-founder of the Weston A. Price Foundation. We get into details about the differences between the Paleo Diet and the Weston A. Price Diet. Sally argues that Paleo is too restrictive and she is particularly concerned about telling young people that they should exclude things from their diet, such as properly prepared grains or dairy from pastured fed cows. In addition, Sally gives us some great advice for how to include nourishing foods in our diet. I talk with Dr. Mary Newport, about her book Alzheimer's Disease: What If There Was a Cure? Dr. Newport began looking for a cure for Alzheimer's Disease when her husband began suffering with early onset Alzheimer's. She found information about a new therapy using coconut and MCT oil to help slow the disease. She began feeding her husband coconut oil several times per day and saw dramatic results. 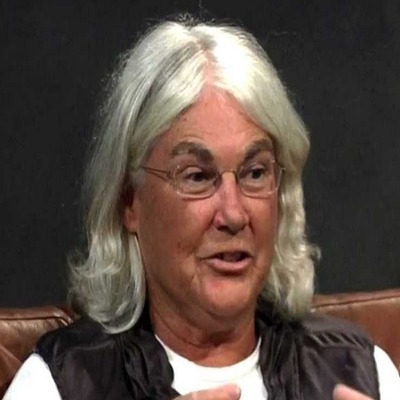 You can also watch her talk on TED, Unconventional But Effective Therapy for Alzheimer's Treatment: Dr. Mary T. Newport at TEDxUSF. 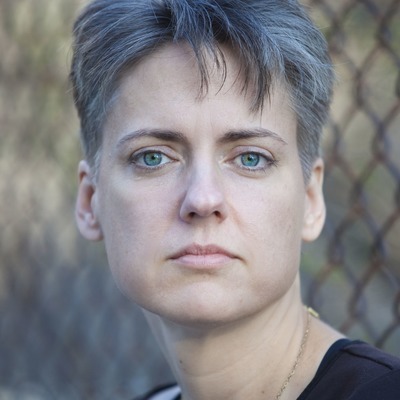 I talk with Tara Grant, author of, The Hidden Plague: A Field Guide For Surviving and Overcoming Hidradenitis Suppurativa. We talk about how Tara overcame this condition by changing her diet. She follows a Paleo style diet with some custom modifications. If you are dealing with acne, cysts, or other skin problems, learn how you can tweak your diet to help clear your skin. 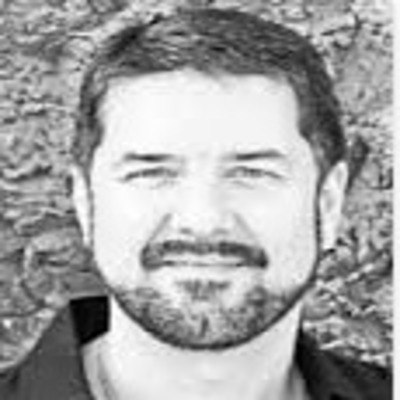 I talk with Chiropractic Physician, Steve Gangemi. We talk about how to stay injury free while participating in endurance sports. We discuss how things like diet, stretching, and overtraining, can play a role in injuries. I talk with Harley Johnstone aka Durianrider. We talk about how Harley maintains his running on a fruit based diet, and why he thinks a high-carb fruit based diet is best for endurance athletes. Harley overcame Crohn's disease by following a fruit based diet and we discuss what his digestion is like when eating mostly fruit. We also talk training and how he maintains fitness on a low mileage program, and tips for anyone who wants to try a fruitarian diet. I talk with Katy Bowman about staying injury free through proper body alignment. Katy runs the Restorative Exercise Institute, where she helps people restore movement and prevent injuries. Her latest book is called Alignment Matters. I talk with Mikki Reilly, author of, Your Primal Body: The Paleo Way to Living Lean, Fit, and Healthy at Any Age. Mikki is a personal trainer and former body builder. She helps people regain their health and movement by following the Paleo lifestyle. We talk about the importance of diet & exercise in staying healthy and living primally, tips for getting started on a Paleo diet, and some of Mikki's favorite foods. I talk with Bob Seebohar. 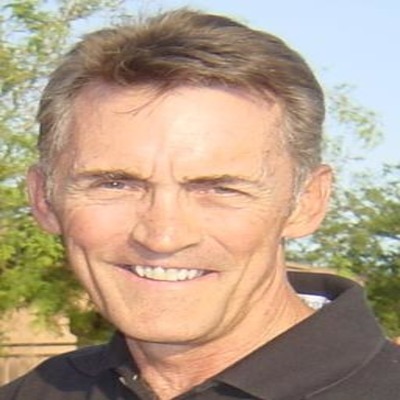 Bob is author of numerous books on nutrition including, Nutrition Periodization for Athletes: Taking Traditional Sports Nutrition to the Next Level, and served as sports dietitian for the US Olympic Committee. He focuses on creating metabolic efficiency by eating real whole foods. We discuss how to burn more fat by changing what we eat, how to overcome GI distress on the run, and tips for how to make the switch to becoming metabolically efficient. In this episode, I talk with Professor Tim Noakes about the benefits of a low carb diet. 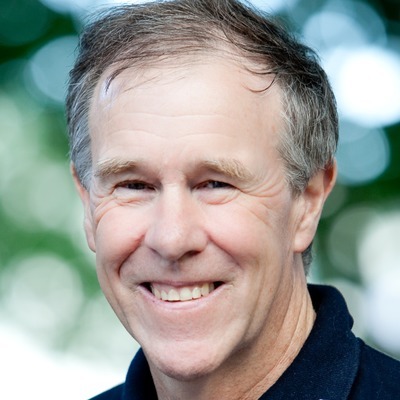 Prof Noakes is a medical doctor, exercise scientist, and prolific author with a passion for running. His latest book, Challenging Beliefs takes the reader through his most important ideas. Three years ago, Tim discovered the benefits of a low carbohydrate diet. He says that once he dropped the carbs, his running came back. Since then, he has been studying the benefits a low carb diet and how it can work for endurance athletes. Debbie Potts is a personal trainer and co-host of the Fit Fat Fast Podcast. She shares how she got interested in metabolic efficiency through overcoming stomach issues on the bike, and how you can teach your body to use fat as a fuel by emphasizing real foods. Debbie helps get clients away from processed foods and stay healthy without having to count calories. I talk with Danny Dreyer, author of Chi Running. We talk about the benefits of Chi Running, how it's different from other styles of running, how it can help you stay injury free, run faster, and help connect your mind and body. I talk with Ironman triathlete, Tami Timmons. She recently completed an Ironman while following a No Sugar No Grains approach to eating. Tami was inspired to try eating this way after dealing with stomach issues during long distance events. By cutting out processed junk, she's been able to train her body to burn more fat as a fuel during long distance events. We talk about Tami's transition to a No Sugar No Grains style of eating, how she manages training while raising a family, and what keeps her motivated to continue to eat a clean diet. In this episode I talk with Paul Jaminet, author of The Perfect Health Diet. We talk about endurance training and The Perfect Health Diet. Some of the other topics we discuss are: Paul's recommendations on eating safe starches for endurance athletes, why going too low in carbs may be detrimental to your health, the importance of saturated fat, tips on productivity, and optimizing circadian rhythm. We end by talking about success stories from attending The Perfect Health Diet Retreat. 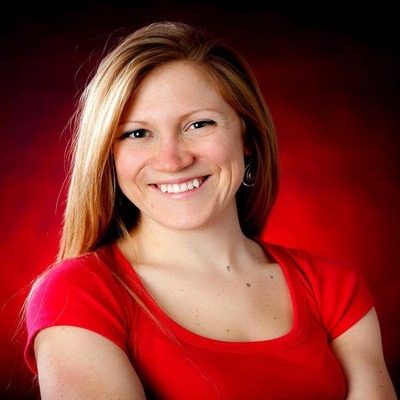 I talk with Cassie Bjork, aka Dietitian Cassie. 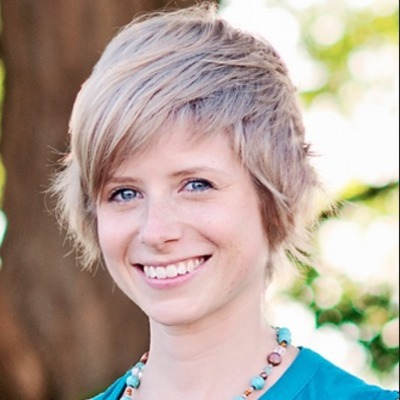 Cassie is a registered dietitian who takes a real foods approach to diet and nutrition. She's completed several marathons and lives an active lifestyle. We talk about the benefits healthy fats, what it means to eat real foods, and how to fuel for the marathon with real foods. 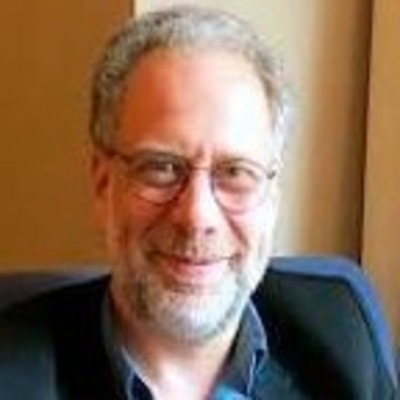 I talk with professor Daniel Lieberman, chairman of the department of human evolutionary biology at Harvard University. His latest book is called, The Story of the Human Body: Evolution, Health and Disease. We talk about the prevalence of mismatch diseases common in our modern environment. Prof Lieberman says that diseases such as: Type II diabetes, heart disease, flat feet, myopia, osteoporosis, allergies, asthma, Crohn's, certain cancers, and a host of other diseases may be due to a mismatch between our current environment and the way we evolved to thrive. I talk with Jeff Horowitz, author of Smart Marathon Training: Run Your Best Without Running Yourself Ragged. Jeff is a certified running and triathlon coach and personal trainer who has run more than 170 marathons across 6 continents. Formerly an attorney, he quit law to pursue his passion for endurance sport. He advocates a low mileage approach that allows runner to get the most from their body without burnout or injury. During the past 25 years, Dr. Holick has looked at how Vitamin D is made in the skin during sun exposure. He has become globally recognized as an expert on vitamin D and is author of The Vitamin D Solution. We talk about the health benefits of Vitamin D, such as preventing the flu, preventing C-sections, and the appropriate amount of supplementation. I talk with author Sarah Buckley about her book Gentle Birth, Gentle Mothering: A Doctor's Guide to Natural Childbirth and Gentle Early Parenting Choices. We discuss the options for parents wanting to have a natural childbirth. 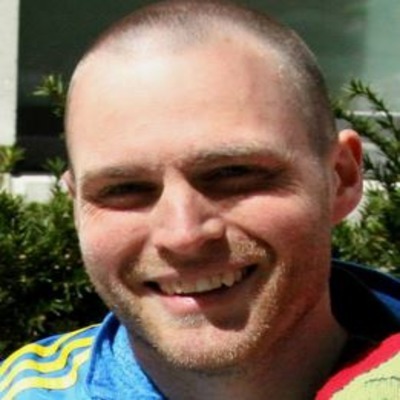 I talk with 2:39 marathoner, Jason Fitzgerald of StrengthRunning.com. Jason is author of 101 Ways to Be a Better Runner. We talk about how to prevent injuries with strength training, tips for getting faster, and how to incorporate a paleo diet into long distance running. I talk with Irving Kirsch, author of The Emperor's New Drugs: Exploding the Antidepressant Myth. In his book, Professor Kirsch challenges the idea that antidepressant are an effective treatment for depression. By looking at the data, Professor Kirsch concludes that antidepressants are no better than placebo. I talk with the author of Paleofantasy, Marlene Zuk. We talk about whether or not the Paleo Diet is just a fantasy or if it can lead to better health. Marlene also talks about rapid evolution and how species evolve in surprising ways. We end the discussion by talking about exercise and what, if anything, evolution tells us about the optimal way to be fit and healthy. 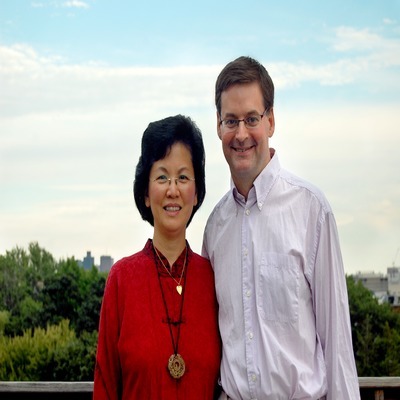 I talk with John Durant, author of Paleo Manifesto: Ancient Wisdom for Lifelong Health. We discuss why living Paleo is more than just the food we eat. Durant says that for optimum health we need to take a closer look at the habitat we create for ourselves. Like a gorilla taken from its natural habitat and stuck in a zoo, modern man is far from his natural habitat and suffers ill-health because of it. I talk with Matt Whitmore & Keris Mardsen about their book Paleo Primer: A Jump-Start Guide to Losing Body Fat and Living Primally. We talk about some of the amazing recipes in the book, including Matt's Scotch Egg and Keris' incredible Paleo "cheats of champions". I talk with Jimmy Moore about his new book, Cholesterol Clarity: What the HDL is Wrong With My Numbers. Jimmy dispels some myths about saturated fat, cholesterol and heart disease, and tells listeners what to look for the next time they get their cholesterol checked. We also talk about nutritional ketosis; what it is and how it can help you lose weight and regain your health. I talk with Tracy Raftl of TheLoveVitamin.com. We talk about how Tracy overcame severe acne through diet and nutrition. We also talk about Tracy's unusual skincare tips, and even her cave-woman skincare regimen. I talk with Stephanie Rothstein about celiac disease and distance running. From about 2008-2010 she woke up everyday feeling like she was hungover without the actual drinking part. She woke up with a headache and in a fog each morning, with digestion problems that a pot of coffee couldn't cure! We also talk about Stephanie's diet, her running, and her business - Picky Bars. In this episode I talk with Oliver Burkeman about his book The Antidote: Happiness for People Who Can't Stand Positive Thinking. We talk about the upsides of negativity, uncertainty, failure and imperfection. In this episode I talk with Stephanie Seneff about the importance of cholesterol-sulfate. We discuss Stephanie's view of disease, the importance of sun exposure, Vitamin D, Autism, Alzheimer's, and nourishing foods. In this episode I talk with endurance coach and athlete Joe Friel, co-author of Paleo for Athletes. We talk about how Joe got into eating Paleo, how it helped him train harder, and what he has learned since he first started eating Paleo. In this episode I talk with Steve Wright of SCD Lifestyle. We talk about how you can heal your gut and prevent symptoms like gas, bloating, diarrhea and even recover from diseases like Crohn's and Colitis by following a natural nutritional approach to health. 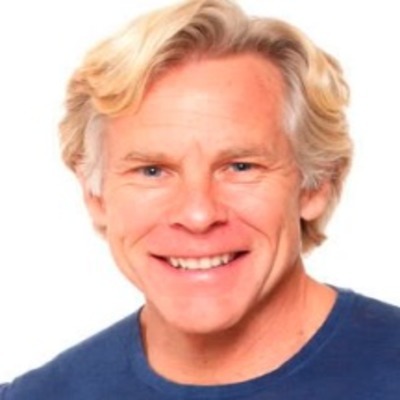 In this episode I talk with author Mark Sisson. Mark is a fitness author and blogger, a former distance runner, triathlete and Ironman competitor. We talk about running, training, and how to eliminate grains and other offending foods from your diet. 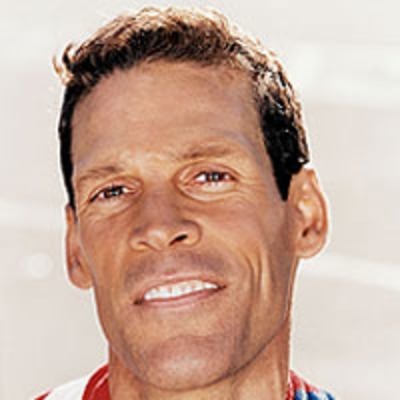 In 1980 Mark qualified for the Olympic trials marathon, and in 1982 he finished 4th in the Ironman World Championship. 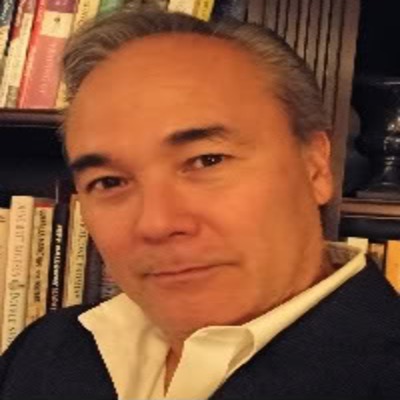 He has written several books, including The Primal Blueprint, which incorporate aspects of the Paleolithic diet and lifestyle. In this episode I talk with Phil Maffetone about running, eating and music. Phil is author of The Big Book of Endurance Training and Racing and has coached triathlon greats, such as six time Ironman world champion, Mark Allen. We talk about what foods to eat, fitness, health, barefoot running, training, and music. We also talk about what it was like to work as the personal physician for the Red Hot Chili Peppers. 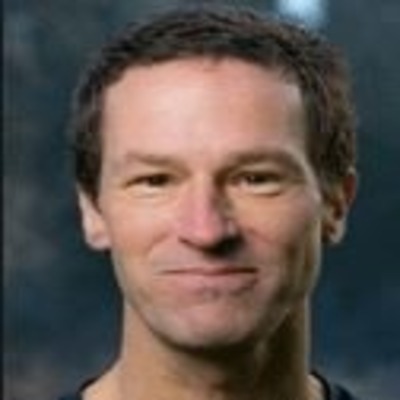 In this episode I talk with Jeff Volek, author of The Art and Science of Low Carbohydrate Performance. Learn how to access your fat stores and allow your body to utilize fat as fuel. Jeff's research says that endurance athletes can gain a distinct advantage by following a low carb ketogenic diet. By eating a higher fat, moderate protein and low carb diet you can teach your body to burn fat for fuel. Topics we discuss are: advantages of low carb ketogenic diets, health related to a low carb diet, paleo diets, performance advantage of a low carb ketogenic diet. In this episode I talk with Ultramarathon Man - Dean Karnazes. We talk about Paleo Diet, his adventures as an Ultramarathoner, individual differences in diet, barefoot running, hot weather running, and tips for getting started. 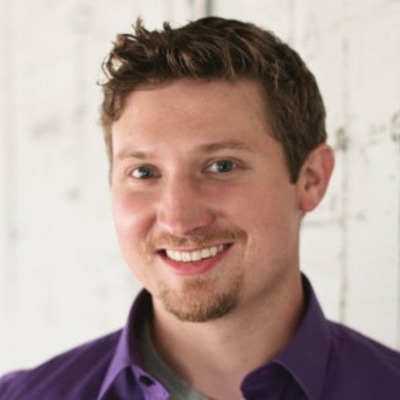 In this episode I talk with Fat-Burning Man, Abel James. We talk about how Abel started running barefoot to increase his speed and distance, how to become a fat burner, and Abel tells us how getting ripped isn't that difficult. In this episode I talk with Dr. William Davis about his book, Wheat Belly and how destructive wheat can be to our health. We talk about how wheat contributes to poor heart health, stomach issues, man breasts and even wrinkles! Dr. Davis has suggestions for those thinking about giving up wheat and for how endurance athletes can switch from being a sugar burner to becoming a fat burner. 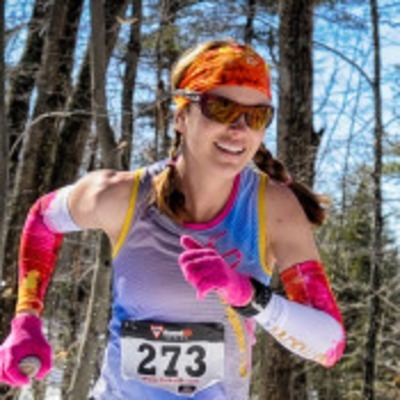 In this episode I talk with Ultra runner Kristina Folcik. I first heard about Kristina when she won the relentless Sawtooth 100 mile race in northern Minnesota 2012. Kristina has gone from doing no running at all, to jumping into a 50 mile race, to training upwards of 100 miles a week. We cover training for Ultras, diet and nutrition, and how Kristina got into Ultra running. 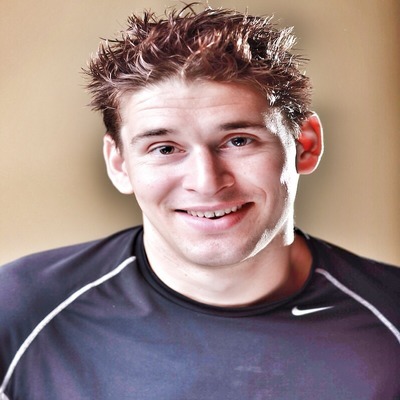 In this episode I talk with Ben Greenfield about his low carb approach to endurance sports nutrition. Ben is also known for his "minimal training protocol" for Ironman Triathlon that involves 6-10 hrs a week of training. We cover the benefits of low carb, what Ben eats, why high carb is like crispy bacon to your joints, and Ben's minimal training protocol. Check out Ben's books on Amazon. In this episode, I talk with Daniel Lieberman about how humans evolved as distance runners. We talk about barefoot running, early human carnivory, and evolutionary adaptations that make humans good at running long distances. His latest book is called The Story of The Human Body. In this episode I talk with Christopher Lane about his book Shyness: How Normal Behavior Became a Sickness. We discuss the history of the DSM, drug side effects, the science behind mental disorders, and tips for people dealing with shyness and anxiety. 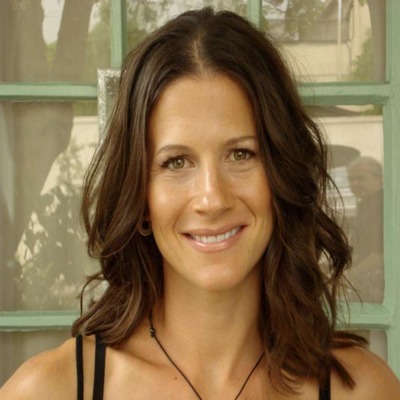 In this episode, I talk with Stefani Ruper, an expert on the Paleo Diet for Women. We talk about PCOS, acne, and fertility. In this episode I talk with Paleoista, Nell Stephenson. We talk about Nell's book Paleoista, Paleo Diet for athletes, distance running, fasted workouts, marathon, footwear, and Ironman. 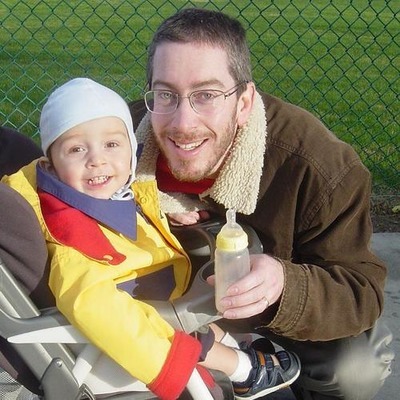 In this special episode I talk with author Bryan Caplan about parenting and his book, Selfish Reasons Reasons to Have More Kids. Bryan claims that parenting can be more fun and less work than we are often led to believe. In this episode I talk with Brian Mackenzie, Crossfit Endurance coach and author of Power Speed ENDURANCE: A skill based approach to endurance training . Crossfit Endurance features a lower volume, high intensity approach to training for endurance events. This way of training may help you stay injury free while achieving the same results and in less time than traditional approaches to endurance training. Brian has completed 100 mile ultra-running events while never running more than a half marathon in training. In this episode I talk with Born to Run coach Eric Orton. I first heard about Eric after reading Chris McDougall's Born to Run. Eric taught McDougall how to run with proper technique and eventually trained him to run a 50 mile endurance race in the Copper Canyons of Mexico. We talk about running, Eric's shoe company B2R shoes, minimalist footwear, Eric's new book The Cool Impossible, nutrition and how the mind relates to running. 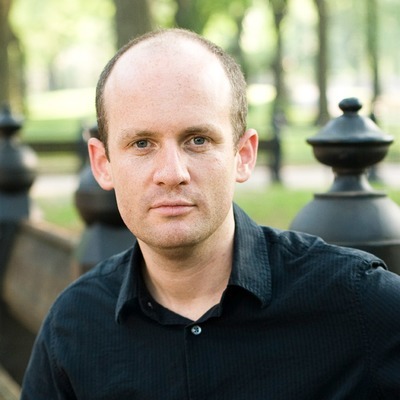 In this episode I talk with Matt Fitzgerald, prolific author and endurance enthusiast. He has authored many books on running, triathlon, fitness, nutrition, and weight loss, including Brain Training and Racing Weight. We talk about the cause of fatigue during exercise and how to get more from your running. We also touch on nutrition and Matt’s opinion of the Paleo diet. 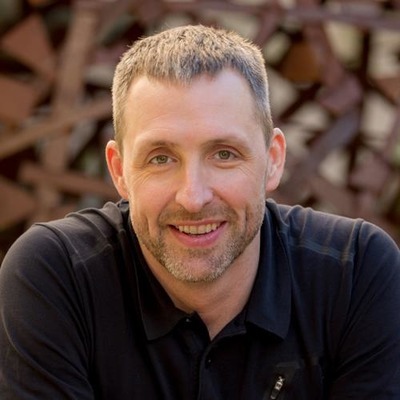 In this episode I talk with entrepreneur and biohacker, Dave Asprey, from bulletproofexec.com and betterbabybook.com. Dave has spent over $250,000 to upgrade himself and make himself smarter, stronger, and healthier. Dave runs a popular blog and podcast called bulletproofexec.com where he offers the latest information on how to get the most from your mind and body. He is also an author; his latest book is called Better Baby Book. In this episode I talk with Lierre Kieth, author of The Vegetarian Myth. We talk about how she overcame health problems caused by following a vegan diet. Listen to how Lierre regained her health by adding meat back into her diet. We cover ecological sustainability of grass fed animals, health issues related to a vegan diet, and what Lierre eats now. 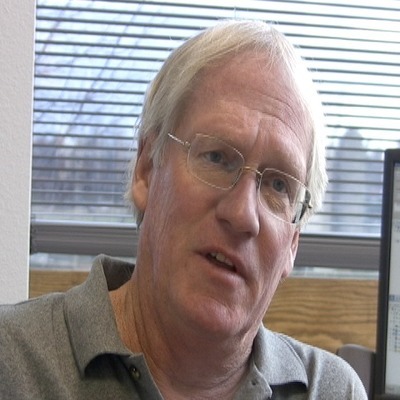 In this episode I talk with Loren Cordain about the Paleo Diet. We talk about nuts and nut flour, Paleo for athletes, whether the Paleo diet causes cancer or kidney disease, how his views about Paleo have changed, and where Loren finds inspiration. In this episode, I talk with exercise scientist and physician Tim Noakes, MD about the Paleo diet, his latest book Challenging Beliefs, and the Central Governor Theory of fatigue. Follow Tim on Twitter @ProfTimNoakes. 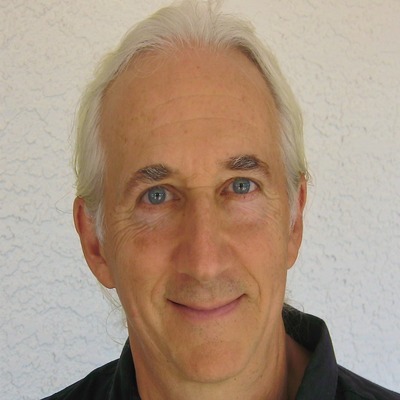 I talk with Paul Jaminet about his book, The Perfect Health Diet and the evolutionary approach to health and nutrition. Topics we discuss are: saturated fat, physics, economics, circadian rhythm, confirmation bias, correlation vs causation, safe starches, bacon, and Paul's thinking process.